As Monday dawns we are waiting to see how this … thing will fall out. Having played and enjoyed EQ2 since just before Christmas now, I’m interested, I’m more than interested, I’m much more than interested. From outside the corporate box there is little to be seen of what went on within to occasion this nonsense, and speculation isn’t my thing, much. The recognisable signs (insisting on a sub model, making sell-deals) point to Sony having a need for money, which could be extrapolated to an unhealthy bottom line. But the signs could also be extrapolated to just plain milking the playerbase. Greed is so acceptable nowadays that that would not be a surprise either. The lynchpin of the deal is who gets what money, when and how – and I don’t know that part, heres my guess: Sony seems to want money so presumably they get a financial injection. ProSiebenSat1 appears to wish to grow and diversify. On that in-my-head model it would all make commercial sense. The current value of the playerbase might not even factor in, since ProSiebenSat1 has its own cash generating methods which I am sure they will not hesitate to apply if the deal allows them to do so. It also has it’s own customers and means of gaining more. It sure as heck doesn’t have a game like EQ2 on its playlist – so I can see the attraction. Sony has a new game it wishes to expend it’s energies on so EQ2 is likely to be an unwanted burden more than anything at this time – apart from the money it still generates of course (bit like WoW really). I’m not one of those tedious people who has to be right all the time – it must take so much effort ugh – but I think the shoddiness of what has been dealt isn’t fully known yet. As I understand it this deal runs out after some years, and there’s a glimmer of hope there. Presumably the parent company won’t be wanting a rundown mess returning to the fold. What they might not mind – and this is the danger, to my mind – is a playerbase shriven of any notions of entitlement, docile, accustomed to a more mendacious payment model. If it works in Europe, expect more EQ2 sell-offs. Losing the vocal veterans might well be a desired outcome, leaving the field open to capitalise freely in the future – pay 2 win models etc. However I doubt anyone involved in the deal expected that to happen so soon and so dramatically. Time and income would have been required to build up a malleable and profitable new playerbase in Europe. If people have cancelled subs in large numbers now, that would be a spanner in the works right enough. Also, the reaction to all this in the US is what is most likely to cause someone to get cold feet. European players are probably expected to be replaced and therefore pretty much discounted (though not expected to leave this fast)(that’s what I think). I do also think Sony expected US players to shrug and think “well it’s not going to affect me”. Gamers aren’t drooling delighted fools anymore though, we’ve learned stuff along the way. It’s occurred to just about everyone that raids, guilds and servers are going to be chewed by this. I am sure outcomes are being weighed right at this moment – a depleted income from subs seems likely, will the increased income from a la carte purchases be enough to offset that? The publicity is bad (but hardly appalling, most of it is currently forum-bound with the media slow to pick up on the story, and reluctant to dig at it) – is the publicity bad enough to warrant an about turn or will a few morsels of comfort do the trick. EQ2 still suffers somewhat from the captive audience syndrome – there isn’t a game like it out there. Not with housing. Maybe they are banking on that to keep income flowing. I have this funny vision of 100,000 angry EQ2 decorators descending on Wurm (mainly because I’m planning a Wurm post after this one)….. “what do you mean I can’t RESIZE this chair? hey where did my gold candelabra go… decay? decay????? How to make drapes, anyone?” – it would be very funny indeed and probably give poor Rolf a heart attack, but you get my point I’m sure. There’s… Vanguard, oh wait that’s Sony. There’s… Free Realms… (!) Istaria? 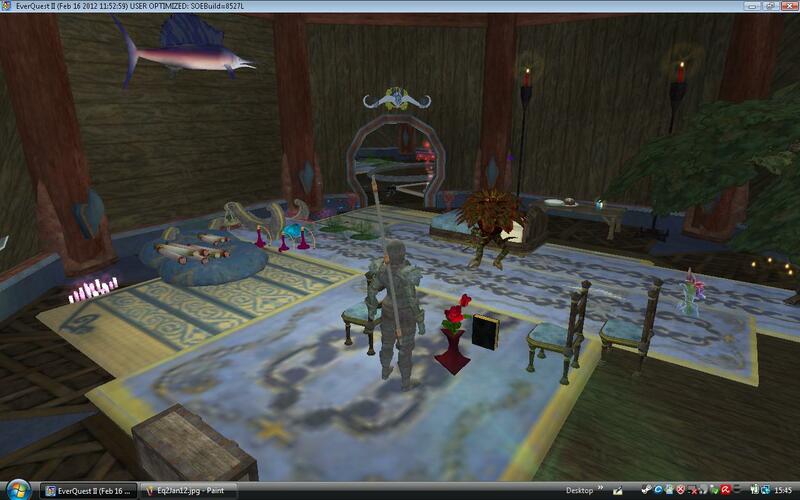 Ryzom has some I think and I heard rumours of it in AO, Second Life anyone? Housing is still pretty rare, unfortunately, and housing as developed as EQs is hen’s teeth. Hopefully this thing will crash and burn. The unlikely resistance of the US players maybe will cause that. But I’ve noticed some worrying “bugs” when I try to run EQ2 (client insists on streaming, can’t buy certain transfer related items), Whatever’s going on with that I don’t want anything to do with it. I foresee multiple “technical issues” very soon. I’ve cancelled my All Access pass earlier than I intended to. We had put aside some money too for the next appropriate SC offer, but I think we’ll go and spend that somewhere else. I don’t fancy submitting my card details just now. Edit: looks like I picked a bad time to post this, what with the PSS1 deal which is a mess! Please take the following as about the game, and not the people running it who seem (to this newcomer, me) to be unable to grasp some very simple fundaments. Eh, it looks so stupid to me. What on earth are they …. Main post: This post has been building a while! February is half done and people are finally doing their jobs, gloomy resignation abounds and the world is running if not smoothly at least without all that New Year hysteria. The ever-growing list of free to play titles is accumulating nicely on my hard drive, very satisfying, and just as life has settled so also I found myself spending the tail-end of the day more with a few favourite games than being a pretty butterfly flittering between all the lovely blossoms of gamitude like I did last month. Tra la tra la. 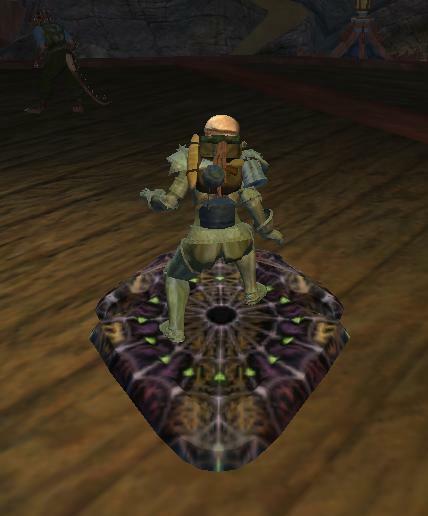 I am glad I came to EQ2 late, I have no baggage and no rage. I have only known it in it’s present incarnation and I like it very much indeed. It runs well on the lapdap with medium/lowish settings so that was the first hurdle cleared like a champion. I’ve got used to the rather odd f2p setup – it has the virtue of allowing me to increase/decrease/abstain from spending at will, which is pretty good going. Solo access is mediocre but that’s the same all over and everywhere just about, no need to single this game out for something as widespread as that. The cash shop items, many of them, are quite charming. I’ve seen some total rubbish that clearly took five minutes to make in cash shops, EQ2 has a nice cash shop with pixels that took time to assemble. And things that do things and furniture. The carnivorous plant wants my credit card. EQ2 also gets the thumbs up from the younger generation who tried it and now play it on the weekends. I’m glad. I like grouping with my family. I love the portal system that allows us to visit each other and leave little presents. Just today I dropped off a heart shaped box of chocolates and some kind of mushroom thing on someones bed under a stair in their house in New Halas. I’m smiling as I think of that person discovering these little items. And as you can see from the pic, this was our first Errollisi (Day?) which caused something of a crafting binge. Parts of the game are gated and constricted to non-subscribing players, which is a shame but hey ho, stuff we don’t access won’t stimulate us to spend money, so it’s less our problem than theirs. I still haven’t found out all the ins an outs of what we can’t do but looks like some things can’t be bought a la carte. Fortunately enough is available to keep us occupied for a good while. Although we can create our own groups and group with others at will, solo access is always going to be an issue I check out simply because I’m tired at the end of the day and very often not in the mood for socialising. I believe there is some kind of mercenary NPC system available later on in the game, gated behind bought content – haven’t got that far, and I’m not sure to what extent the NPCs help out. Got to say I’m not likely to buy into the expansion if it turns out they are only there to fill in gaps in a group, and very likely to buy if they allow me to solo group and high-end content when I want to. Oh look flying pig. From noobland the endgame looks far too sticky for me – group/guild based with all the additives that that implies, having to be there at a certain time, having to be geared, having to this, having to that – whatever. One day when I can sit on my behind all day and eat chocolate I’ll… probably rather sit on my behind and eat chocolate. The journey on the other hand is entertaining and fills me with joy unbounded. (Levelling is too fast but again EQ2 isn’t exactly alone on that one) – I actually look forward to the quest text! I like – the graphics. A lot. I ofen change settings depending on what mood I’m in – low graphics for getting on with things high for just oohing and aahing. It’s pretty clear that more than just time was spent on how this game looks – there is genuine affection in the way it has been made. Care, attention to detail, humour. And I like the way there are surprises. Like the working music box that the carnivorous plant crafted from the Erollisi Festival, or the man selling pickles in Freeport, or the wonderful house portal system. I am glad I am new to EQ2 because I don’t know what was removed in the Freeport revamp. I hate revamps. I like accretions, layers, complexity, odd bits, and signs of ancient developers long past – these things add to the experience and immersion, whereas streamlining removes stuff and simplifies to the point of blandness and beyond. From what I can gather, some of the crafting has lost some relevance but the housing system saves the day for me in that respect. I seems likely that I will never need or be able to create good weaponry (? not entirely sure). However, I can craft things that will give me enormous pleasure and hours of entertainment by being used in various houses. The crafting for houses is more than popular with the rest us too, I am pleased to say, although we now know to keep the carnivous plant away from the crafting stations. And… I found myself humming the Commonlands music on the bus. Discovering this game has been an unexpected and continuing pleasure. Given recent events it reminds me of a sweet and lively child with vapid, shallow parents. I want to hug it! Actually I don’t take dps seriously, here’s all why and how to fix it as a side dish. Dps is pretty much the same – the numbers are a limited tool – mostly diagnostic, but in the intersphere they are what people use to convince other people that they are skilled. Speaking as a leader, I can tell you skill = (mostly) doing the right thing at the right time and is built up through experience. Most people “kinda recognise” it when they see it – you can’t measure it though, o dear. And actually I’m speaking as a happy ex-leader now, but that goes in some other post. Dps and skill are not the same, but you can kiddie on they are, and what’s more most people will fall for it. So to increase your dps might be a worthy goal. After all half the fun in the game is bragging…. hahaha – (errr, gives away a big weakness but that goes in a pvp post sometime). Very similar to my patent and food based economic model, Your Real DPS = (some measurement-or-other/time) + unfair advantage. Measurement/time can be maximised in just about every game by judicious application of ye google. Do the homework, find out the gear, stats, spec, gem, rotation, glyphs, whatever for your avatar. Applying this tediously gained knowledge gets you just past halfway and (bewilderingly) not one bit further. Where you get to stand out is all in the second bit. Gear has a very noticeable effect on dps. Most games attempt to limit the acquisition of good gear for reasons worthy of a whole debate which I dont want to insert just here. So… know all the sources for your gear and make good use of them. Ingame currency to buy stuff? Earning it becomes important then. Random git-groups? Grit teeth & do them. Pay to win – well obviously. If it’s part of the game it’s unfair, but not game-illegal. The devs are having trouble balancing pvp? Woohoo paydirt!!!!! – they are going to overcompensate someone in their flailing efforts to keep things on an even keel. Build up a stable so you can hop about from advantaged avatar to advantaged avatar. In short, once the basic homework is done, unfair advantage is what gets you to the top. Find it and use it if you are so inclined. People often have a unique thing they can do quite well – situational awareness maybe, or ferret reflexes, or good strategic sense. If it’s strategy, for example, go watch videos & plan your positioning and shots using the information gained thusly. I get more fun from trying to match the game’s limits to my strengths than I ever do from number comparing. It’s a personal preference but it will up my dps too if I need it to. A lot of discovering advantage is thinking outside the game and doing some legwork. Not hard, time consuming yes, but not hard. I am also, deliberately, not using the neutral term “inequitable” because I want to go back to economics to wind up this post up. Demand, supply and unfair advantage. Demand & supply left to themselves in a vaccuum will indeed self-regulate. The big problems come from that annoying bit of my equation which you cannot measure. O woe, what shall we do? No nice reliable numbers for unfair advantages! Heheh, and so under the numerical radar, evolved cartels, wars, monopolies, locusting, bad work practices, undercutting…. Time to put the ruler away methinks, and get to looking at how and why things happen the way they do without that crutch, and thats a job not just for me but for all of us. This over-reliance on measuring stuff is a big big big big big mistake. And that all came from listening to Radio Gore at 4.30 am. It’s time for the annual checkup. This morning – I measure around one hour (5.16) before the first detailed torture description. It’s turned off. I have a school run to attend to and a solid week to commence – I am (over) informed and have instinctively responded with a sense of abhorrence and outrage. This ties it all up with a neat bow. We are born with a sense of fairness fully formed, and a drive toward goodness also (who knows why) – with the exception of some few individuals (psychopaths). However much this is subverted, repressed and diverted it absolutely remains with us, is universal and does not go away no matter what pretty stories we tell ourselves as we cheat, lie, kill or whatever the poison is. A universal sense of fairness is the (non-measurable) string which can also be effectively pulled to untie even the most mighty economic knot. The single moment in which you realise someone is manipulating you for gain, as with dps or Radio 4, is the moment their motives become transparent. It’s totally up to the individual how or why they unfairly raise their dps, how much money they unfairly take from others, and (not letting Radio 4 off the hook) how much torture they pepper their broadcasts with hoping to raise their ratings, or cred, or whatever else it is they need to retain funding. They are of course using the unfortunate individuals they purportedly inform us about to further their own agenda. See, pull the string & all is clear. It’s up to us collectively how much unfairness is tolerable. We recognise it instinctively, and it offends some part of us, so that part is less of a problem than anyone arguing definitions will ever admit. Violations of fairness cannot be hidden very well or for long either. Our nose for unfairness is pretty accurate and comes along in the package of being intrinsically moral beings. Unfairnesses can be prettied up, talked around, excused or justified, but they sit there, often for all to see, or come to light unexpectedly despite much careful burying. And of course they register internally. Normalising greed and lauding predatory behaviour is beneficial to the greedy and predatory. Once you see that trick, it’s all over. Suddenly half the things people do make a different sense and a jackasses sitting on more than they could ever possibly need or consume, having destroyed whole environments and all living beings within them to get to that pinnacle – can be correctly discerned as mentally unbalanced. to horrid moral turpitude while chasing rules of thumb. I said I would give up poetry…. I lied! I suppose some silly sausage will come along and argue that humans are intrinsically amoral (fancy version) or immoral (self-serving version) – not much I can do about that. Some things you just need to figure out for and within yourself. January was a spitty spotty month for gaming, too much background noise to settle to anything plus so many new things to try. It is like being in a fruit salad. On the gorgeous one terabyte hard drive (yum yum) for having a look at, currently – Anarchy Online, Star Trek Online, Eden Eternal, Kerbal Space Program. I also treated myself to an All Access pass from Sony this month so EQ the original, Free Realms & Vanguard are there. My goto games are there – EQ2 (promoted! hahaha – aww I love EQ2), Guild Wars, Wurm Online, WoW. Dropped: Skyrim. It runs badly on my machine but so does Vanguard, that’s not it. I’m not playing it because the internal spaces are too small. It gets on my nerves *hugely* when I cant move about freely inside buildings. Champions Online is there. Just looking… yep that’s it. Still plenty of room. Minecraft would be there if it had a free trial. I tried Minecraft Classic but found it hard to figure out the controls and I have better things to do than search for Classic help, if such a thing even exists. I would like to try it – but I’m not forking out an upfront fee for Minecraft until I like it. Rift… maybe if I run out of things will put their trial on. LoTro, ran like a hog on 3 legs last time I tried (year or two ago), not in a hurry to try again. I will soon download Pirates of the Burning Sea. Vanguard is achingly beautiful, I don’t care if it runs badly for me really – I like it. It will stay on my drive for a visit now and again. Can’t comment too much because I’m such a noob, but it seems satisfyingly complex and challenging. I’m soloing of course. Actually – in two week’s scrappy play at my starter area (not the island) I haven’t seen a soul, which is fine by me – it adds to the immersion of this strange and lovely world. There are people somewhere, I know it, one day I will meet them unexpectedly… works perfectly for me. I love the modelling of the monsters – I died a good few times getting a closer look at things I have no business tangling with. I have an alt on the starter island as well and have to say those hobgoblins in the swamp are stunning to look at, and their spells are very pretty… I have just started the crafting tutorial and have very little experience of diplomacy, so no comments about those. But most of all I love that you don’t level too fast. I have always been dismally unimpressed by endgames right since I started playing anything – I’m in no rush. Star Trek Online is a total blast. I have found my place in life – I was destined to fly a spaceship! Again I’m the noobest of the noob here but managed to make my way to level 5 on both alts and get the Anniversary Ship. I am sure my skill choices would make a veteran player scream & run away, but tell you this – I’m not leaving. Most liked thing so far: the sheer Star Trekkiness of it. I do things just to hear the little sound effects – I’m probably a menace. But I like a lot of things about this game. The missions are fun and lighthearted, the controls for space flight and combat are suprisingly easy to use. The NPCs are well developed and as Tesh pointed out in her comment to a previous post, you can be rid of the NPCs without drama if your friend turns up unexpectedly. There’s stuff to learn & do and make, plenty of depth. Yep, it’s a keeper. February, lot to do in real life but I’ll keep exploring and download anything else I hear about that takes my fancy. Wurm Online is still unplayable very sadly – I just about limp through the farming I need to do. Very depressing. Someone is looking into it though. Fingers crossed. I’m beginning plan disbands – not only is everything merrily decaying (ugh) but I can’t do a thing about it either, which has had the good side of making me realise how little I miss fixing things, and paying to fix things. Disband & let the lot rot – I shall make one item at a time & improve it to the point where decay is not so noticeable? This could be how it all ends up – assuming I get to play again. I could sail my ship, stay with my friend or just keep one postage stamp deed over ore… The chopping starts on the 29th of Feb and will continue whenever upkeep runs out. I’m by no means ready to leave, but the fact is – I can’t play it. in which Rolf (maker of Wurm) plays his own game (giggle) for the first time. I won’t spoil it, but if you’ve ever played, this is….. heh heh heh. The comments on it on the official forums say it all. Good on ya Rolfjans! The subscription model is doomed.
!) Yes I’m totally sure of it. The sands are shifting rapidly under AAA games, and it’s almost painful to watch them struggle to keep the shreds of a comfortable monthly income. Taxes only work on a captive base. It’s only January and my hard drive is full of games that I can try out and play with a bewildering variety of “free”ness. This was always the case but it’s different now. The difference is the games are good. There are proper alternatives in place and there is no way on earth the sub will remain the standard. It might still be the holy grail for a while though. 2) Those aren’t the only moving foundations either. NPCs are springing up all over the place and speaking for myself… I’d rather not be grouped with people I wouldn’t sit next to on a bus. I don’t know where the supremacy of forced grouping came from, but I won’t be sad to see it go. Choosing between an NPC and a lootgrubbing loudmouthed bragging unevolved creep is just not hard. That’s the thing – a lot of forced conventions will be unsustainable. Solo players are not going to be second class citizens for much longer because (cue lightbulb) – there are more solo players than conventional wisdom supposed, and when they hit the restrictions, they move along taking their friends – yes, their actual friends! who are friends! you know, people you know in life or chat with online because you like them, regardless of whether you are poles apart in levels/activities/zones/real countries or part of a joint endeavour. 3) Awesome is not the same as being the biggest jerkdev. If I have to play with any more aaahsum jerks in any more aaahsum instances designed by other aaahsum jerks, you can kiss my absolutely aaahsum behind goodbye and where my bum goes there goeth my wallet. The difference now is I don’t feel like a lone voice. A lot of people have had enough of aaahsum and are going to be shifting around, trying stuff out, making up their minds. Nevermind shifting sands, think sinking islands on this one – messing with the playerbase suddenly got very unpopular with the shareholders. and thats my prediction for the general flow of 2012, gaming wise. Anything games were getting away with for lack of comparable alternatives to play is for the heave ho. Have you seen whats out there? Added (7/02) The current noise about subs particularly over at Massively (I’m sure it’s coincidence) isn’t unexpected. It always amuses me that the makers of WoW, creators of “School of Hard Knocks” actually believed the people who said things were too easy in Wrath. In that case it took one not to recognise one. I personally would take comments on “how much I’d pay” as delivered in good faith – but decide what payment model to use based on the bottom line, the one that says “net profit” – but hey, it’s not my job or company on the line. Funders and moneylenders of all descriptions loooove a steady monthly income, shareholders (though they too are funders) can be appeased by a big profit. You can kind of tell where a game is by which model it’s pushing.